Whether you've struggled with arthritis or are recovering from an injury, knee problems mean you'll have to eliminate a number of sports, like those that require running or jumping, from your life. You don't have to sit on the bench when you have problem knees, however. 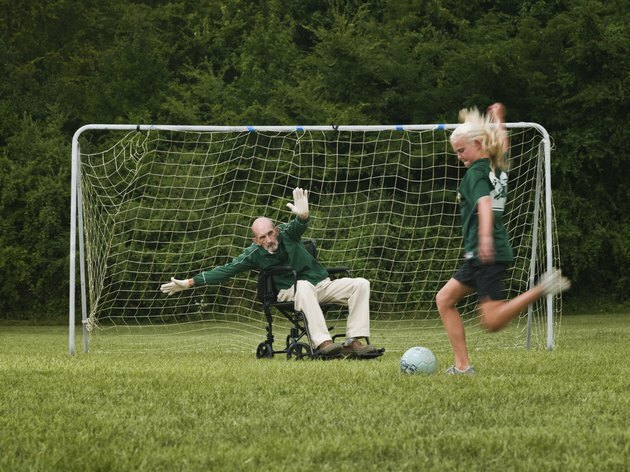 With the right sport and your doctor's permission, you can get in the game. 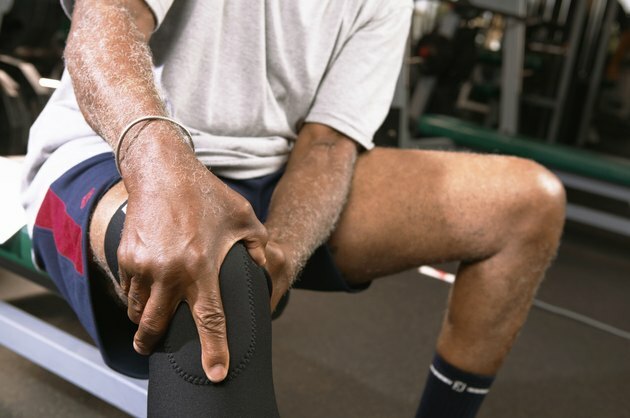 Ask your doctor about knee braces and advice on stretches prior to workouts. The water can be a safe haven for anyone with knee problems because swimming or even walking in the water puts little pressure on your joints. 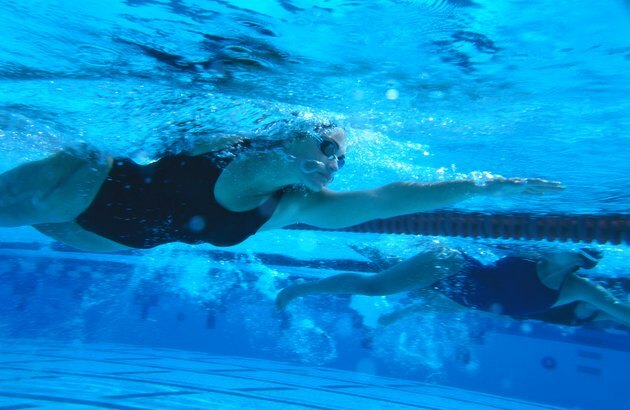 Competitive swimming is an ideal choice if you have knee problems. You might also try water polo, though you must be careful not to push yourself off the bottom of the pool too aggressively. As a bonus, the Centers for Disease Control and Prevention states that exercising in the water decreases your risk of developing chronic illnesses and improves your mental health. 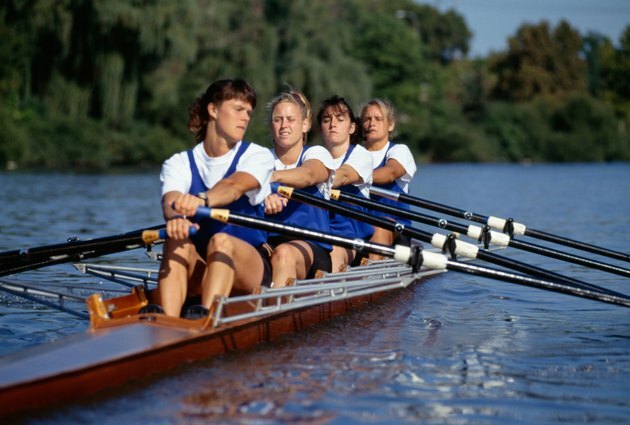 Crew rowing lets you stay in a seated position, so your knees don't have to bear your body weight, and it's an easy way to build upper body strength. This sport isn't the best choice, however, if you have a great deal of knee pain or your doctor advises you to keep your knees as immobile as possible, since your knees will need to repeatedly bend and straighten as your seat moves with each stroke. When you push yourself backward, focus on pushing off of the foot bracing with your whole foot rather than your toes. This will put more of the strain onto your upper leg muscles instead of your knees. 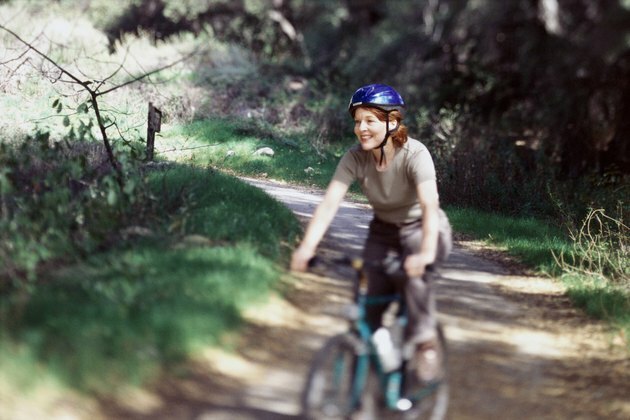 Cycling is the ideal sport to take up when you're trying to ease back into exercise. Set your own schedule and start slow, biking around your neighborhood at first, and gradually increase your speed the length of your rides. Eventually, you'll likely be able to enter road races if you wish. You might find that a recumbent bike, which places the rider in a more reclined position than a traditional road bike, is more comfortable, since it puts less strain on your knees than other bikes. Even if your joint problems don't confine you to a wheelchair, playing seated sports can provide a new challenge while keeping weight off your aching knees. You might be able to find a local community wheelchair basketball, hockey or volleyball team that will accept players who are not disabled. Another option is to alter your own favorite sport yourself. Buy a few used wheelchairs, lower your basketball hoop and challenge a friend to play in your own backyard.